With four years as a professional Tarot Reader under my belt (and nearly 30 years after my first reading), I feel ready to share what I have learned so that you can avoid some of the more common mistakes. 1. You deliver your practice readings with confidence – There is no set time limit for how long you have to study but only experience gives the kind of confidence that a professional exudes effortlessly. You know and trust the card messages. 2. You are not invested in the outcome – You have learned to detach enough to not sugar coat the card messages. You read what you see and know how to guide the client on how to best proceed from there. It’s OK to feel for and empathise with your clients but you must have a strategy for how to detach after/between readings – otherwise your energy will be all over the place. It’s a simple matter of energy hygiene. Difficulty with this usually harks back to third chakra issues. 3. You know when to say no – You know when to not read. Basic counselling studies are invaluable for this as for the ethics side of things. Some clients come to you when they are in dire need of medical professional help. It’s essential to know when to refer clients on. The same goes for clients who come to you with questions that require professional legal or financial advice. 4. You have ethics – Beyond the point of referring clients on and 100% client confidentiality, it is not for me to say what your personal ethics should entail but you will need to make clear what they are to your clients so that the clients can know if you are a good fit. Some Tarot readers read for under 18’s (with parental consent) and some don’t. Some will use the cards to help clients look into extramarital affairs – others won’t. Some will read on fertility questions and some won’t. It’s all OK… as long as you and your client are clear on what goes. Think this through and add your ethics to your website/leaflet as soon as you start advertising. If you belong to a Tarot organisation, you will be bound by their ethics and that is why many of us choose to fly solo. You can find my reader’s ethics HERE. Having limited knowledge about particular subjects. For instance. 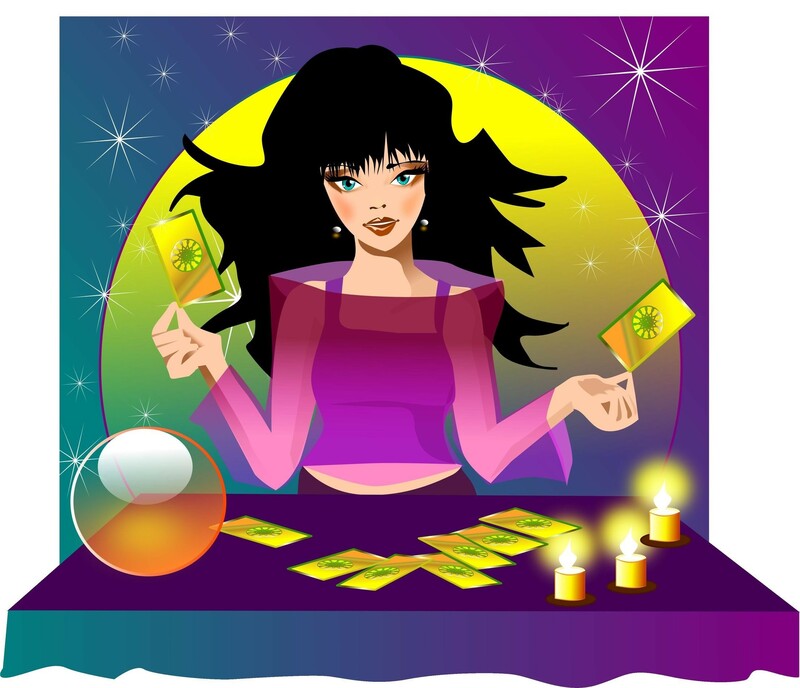 A business person who comes to you with a complex question about how to best advertise his services may be best off referred onto a Tarot Reader who specialises in business. As your own knowledge base grows, you will be able to read on more and more specialised topics. This is why Tarot readers become better with age and experience. You learn to see more and more practical application for the 78 keys. Not being able to read timing questions. Be honest with your client about it if this is the case – it may or may not matter to them. 6. You value your time and charge accordingly – Understand that it is your time you charge for, not your gift. Calculate how much you need to charge in order to actually make a living. You aren’t doing anyone any favours by trying to undercut the competition. 7. You understand how to use free readings – As a general rule, most people don’t value what they get for free. Free reading should be used moderately to showcase your skills and to give people a taste of what you are capable of. 8. You know or are willing to learn basic bookkeping and other basic business skills – There is usually a local business centre willing to help with information on this, in addition to what you can find online. I attended a one day course which took me from doubtful if it was doable to a 100% ‘Yes, I can do this!’ – Best investment ever. When you do have a refund policy in place you will get the odd scammer. Be OK with that and remember it’s their karma, not yours. Also, if you accept payments through PayPal, some will use the e-cheque payment method. If you want to make sure they don’t use this method to scam you for a free reading, simply don’t deliver the reading until after the payment goes through (PayPal notifies you of this). 10. You know your prospective clients and how to target them with advertising – Learn which social media is the best fit for the kind of clients that will want your services. Tumblr, for instance, has a younger audience and may therefore expect more freebies and a different reading style to your Facebook audience. Invest your time wisely. If you blog, network your blogs as much as possible across all social media (including the ones you don’t usually hang out on). One quick way to get noticed if you are just starting out is to comment on bigger, more wellknown blogs. Remember, you are your brand, so you can’t be afraid to put a name and a face on your services. Be you, be original. Don’t copy other readers. Bring what is uniquely yours to the table. If you are looking to do more face-to-face readings, do as many psychic fairs as possible and consider offering Tarot parties alongside in-person readings. Always carry your business cards and some leaflets wherever you go.